Matawan NJ CPA | Tax Services and Accounting Firm | Call Michael DiPede, CPA! Michael DiPede, CPA is a successful full service CPA firm since 1990 providing accounting, tax planning, tax preparation, and business advisory service to our clients. The success is attributed to client satisfaction, which is based upon my desire to exceed client expectations, when we explore the various possibilities of financial management. I take great pride in my profession and representing my clients. As their certified public accountant, I celebrate the success of financial management with my existing clients, and implore you to explore and achieve your financial management goals. If you are just starting a new business or looking to grow your existing business, I can help you achieve your financial goals. Whether it be selecting the correct type of business entity, tax planning, or any other accounting service that may be needed, I can perform them for you in a timely and competent manner. 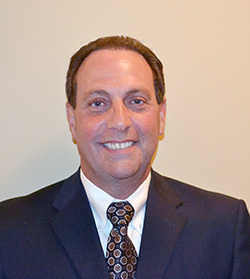 Experience the personal attention and quality support Michael DiPede, CPA has come to be known for throughout Central and Northern New Jersey. Contact us today at 732-290-9900 to set up an appointment for a free consultation. We work with clients in Northern and Central New Jersey. Copyright 2014 - 2019 Michael DiPede, CPA - All rights reserved. Websites for accountants and CPAs by Build Your Firm, providers of marketing for accounting firms and CPAs.